(Natural News) Food Independence is a growing concern for many people, especially as access to foods that are free of GMOs, pesticides and other chemicals grows more and more restricted. For many, self-sufficiency is a path not only to independence and readiness, but a path towards a healthier lifestyle overall. Indeed, dependence on Big Agriculture and other corporate schemes is a modern sham — but it is possible to live and eat without depending on corporations. 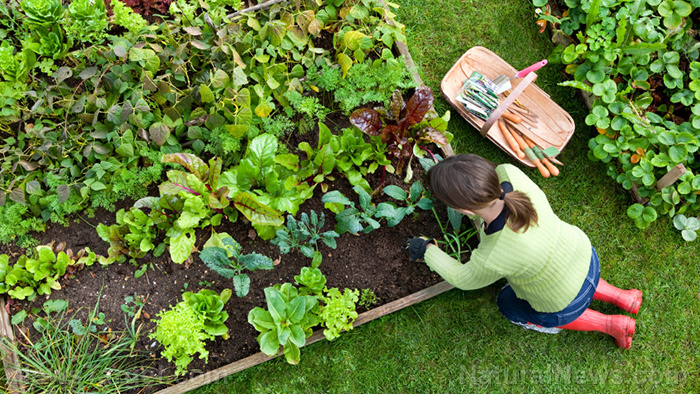 You can even achieve independence from Big Food without having to start your own garden — though that certainly is a worthwhile pursuit. As ProvideYourOwn.com explains, there are a few simple lifestyle changes you can make to become more independent and ensure you are not relying on the industrial agricultural complex on a daily basis. Some of the initial steps toward food independence are extremely easy to take — but they are totally rewarding. Prepackaged foods are practically the hallmark of the industrial food complex; avoiding them is an essential step in food freedom. Further, these foods are often stripped of any nutritional value and pumped full of processed sugars and fats to restore flavor; you’re not eating real food anymore. While you can move away from the food and agricultural industrial complex without home gardening, there are many cheap and easy ways to begin cultivating your favorite foods and herbs right at home, living closer to a fully off-grid lifestyle. From vertical gardens and aquaponics in an urban setting, to private green houses and compost piles — there is no shortage of affordable ideas for the home garden enthusiast looking for more food freedom.